Visual Centre for Contemporary Art - Carlow Visual Arts Centre - The George Bernard Shaw Theatre is a dynamic multi-disciplinary arts facility presenting the best of local, national, and international work in the visual and performing arts. Standing in a strategic location in the centre of Carlow Town in the grounds of Carlow College, it rivals its contemporaries in New York, Berlin or Tokyo in terms of its scale and contemporary architecture. 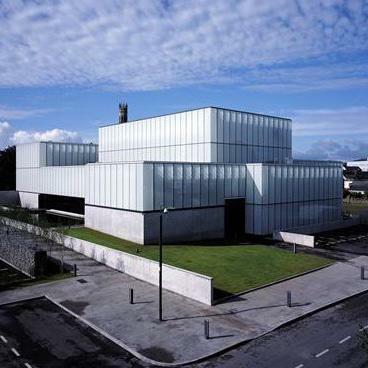 Carlow Visual Arts Centre - boasts an area of 3,130m², comprising four principle gallery spaces, a 290 seat performing arts theatre, a restaurant, bar, space for a book shop and a second space for a craft shop. The four principle gallery spaces are clean ‘white cubes’, with the exception of the Link Gallery which provides a more relaxed and informal environment.